Yes, this one’s been popping up all over the Simmerverse of late hasn’t it? 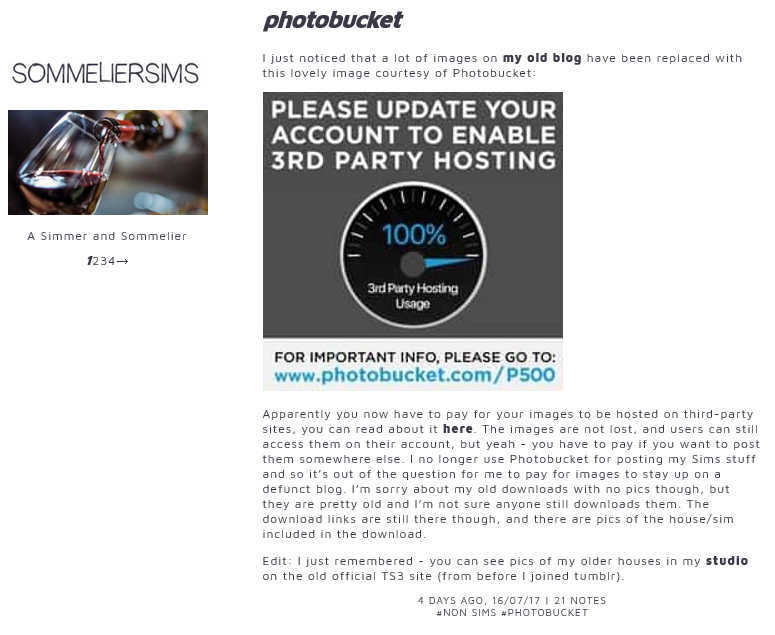 Yes, that is one of the problems of third party hosting for free, the third party’s at leisure to rewrite the terms at whim. But as Wibs says, it’s not like hers have gone forever – still, always worth reiterating that old moral of always ensuring you back up everything you do in blogging. Well if there’s any Polish Simmers they’re probably living in the UK now so no point in asking them! Maybe try one of the Russian Simmers instead?